Welcome to the first step towards your dream home! As a certified Home Inspector and Green Home Auditor, Brett Tutor is an industry professional. 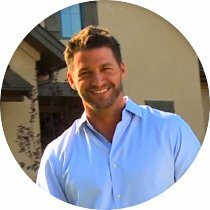 Brett's inside knowledge of the product and engaging demeanor make him an ideal host for New Home Source TV. NewHomeSource TV is your source for the most truly new homes featuring insights from architects, designers, contractors and other experts. Each week we take viewers on a behind the scenes home tour, providing a glimpse of the latest floor plans, design trends, green features and neighborhood amenities from the hottest new communities in America.